Love and interest in ancient music in Baroque, classical and pre-Romantic repertoire are the nucleus around which the Ensemble “Italico Splendore” is born and formed, which since its inception, in 2010, has directed its activity mainly in this meaning: a constant and in-depth research work on the sources and a scrupulous philological approach. 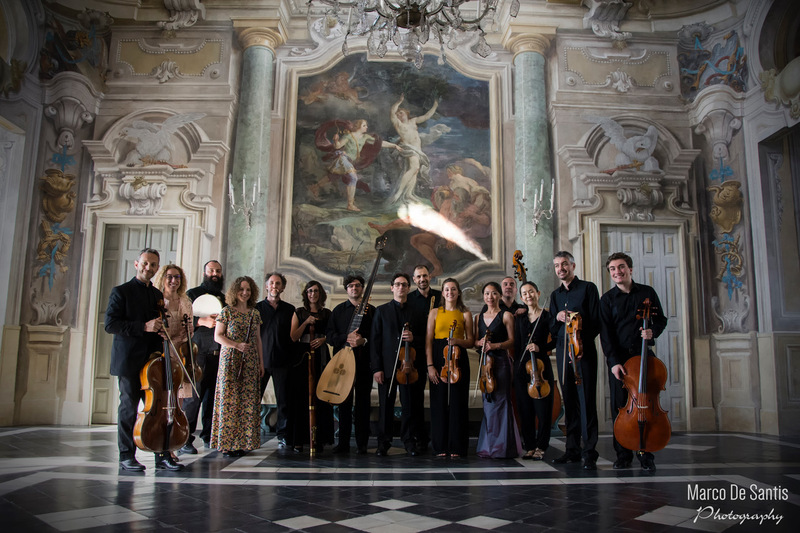 The purpose of the ensemble components is to carry out a research work so that unreported repertoire can be brought to light, rediscover unknown authors, work on ancient manuscripts, giving new life to hidden musical treasures of a period in which the splendor of Italian musical art was a source of pride in the European courts. Italico Splendore’s activity is oriented in two main directions: production and preparation of musical performances, and musicological research and study. Music production has already been expressed through a regular concert activity at im bearing seasons and musical festivals, as well as in the realization of recording projects for labels such as Dynamic, Brilliant Classics and Novantiqua Records. The purely chamber music setting is the basis of the artistic-musical organization and the identification of objectives and guidelines in group management. All the components collaborate in full harmony, making their own human and professional contribution as well as artistic, coordinated by the artistic director Alessandro Andriani and his brother Claudio, first concert violin. All the group exponents, referring to the study of executive practice indicated by the treatises of the period, play on original or faithful copies of instruments of the age, with the use of gut strings, philological arches, historical keyboards, and original wind instruments, to faithfully reproduce the nuances of sound required by the composers. In the field of musicological research, Italico Splendore has set itself the objective of finding and exploiting an unpublished or little explored musical material. For this purpose, the activity is expressed in a work of transcription and philological publishing aimed at enriching the repertoire and publishing new scores. This commitment is also accompanied by a high level education and training course for young people, carried out through workshops, master classes, meetings and seminars that Italico Splendore organizes annually, collaborating internationally renowned artists and musicologists.